What are the Causes of Thumb Joint Pain? 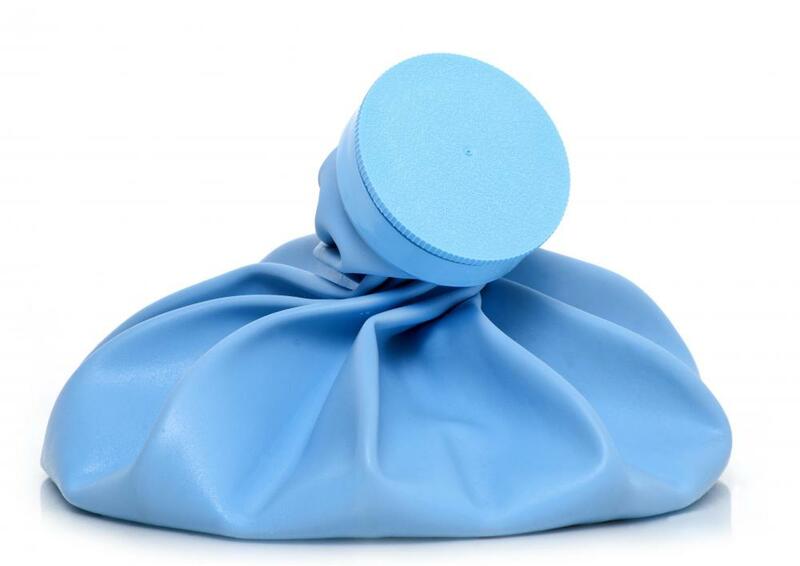 An ice pack, which can help with thumb joint pain. Arthritis may cause thumb joint pain. Arthritis can cause thumb pain and stiffness. Thumb joint pain may be due to injury, but it is most commonly caused by inflammation due to arthritis. This type of pain can interfere with a person’s work or daily activities as use of the thumb may be severely limited at times. Thumb joint pain may be attributed to multiple types of arthritis, and most are treatable by medication, physical therapy or by surgery, depending on the pain’s cause and the extent of the damage done to the thumb joint. One of the most common causes of thumb joint pain is basal joint arthritis, which may be caused by injury or by common degeneration due to aging. Also known as carpal-metacarpal joint arthritis, individuals with this condition often report symptoms such as sharp, aching pain located at the thumb’s base and a loss of motion in the digit. Some report difficulty grasping objects and many suffer joint deformity when afflicted with basal joint arthritis. Osteoarthritis and rheumatoid arthritis also frequently cause thumb joint pain. Osteoarthritis occurs when the cartilage surrounding the bones and joints begins to wear out. Such commonly takes place at the point where the wrist and thumb meet, which results in aching thumb joint pain. Osteoarthritis may occur as the result of wear and tear to the joint or may be attributed to a recent injury. Anyone can be affected by osteoarthritis resulting in thumb joint pain, but osteoarthritis most frequently occurs in women. Rheumatoid arthritis differs slightly from osteoarthritis in that it causes inflammation to the synovial tissue, which covers and lubricates the joints. Such inflammation often results in tears in the tendons, which causes intense thumb joint pain. 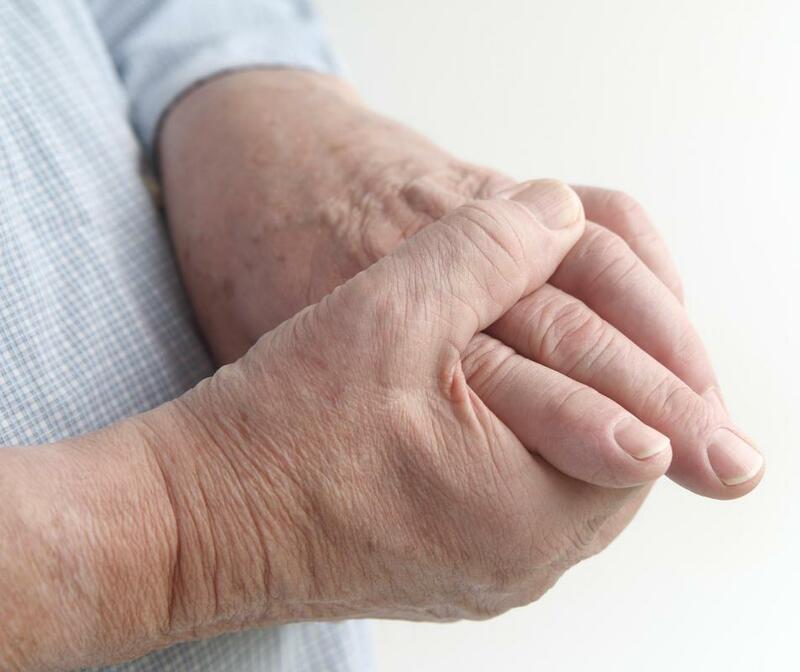 Rheumatoid arthritis and osteoarthritis can both also diminish the use of the hands, as individuals with either of these conditions are known to lose hand strength. This loss of strength results in the frequent dropping of objects, the inability to tightly grasp objects and weakness in the hands, in general. Thumb joint pain may also be caused by injury such as a fracture or a sprain. Often, such injuries occur during athletic activities that result in inflamed, torn or stretched ligaments. Activities do not have to be particularly rigorous to experience thumb pain either, as low-impact sports, such as fly-fishing and golfing, may also cause tendons to become inflamed and cause injury and pain to the thumb. What Are the Most Common Causes of Aching Joints? What Is a Rolando Fracture? What are the Common Causes of Thumb Swelling? 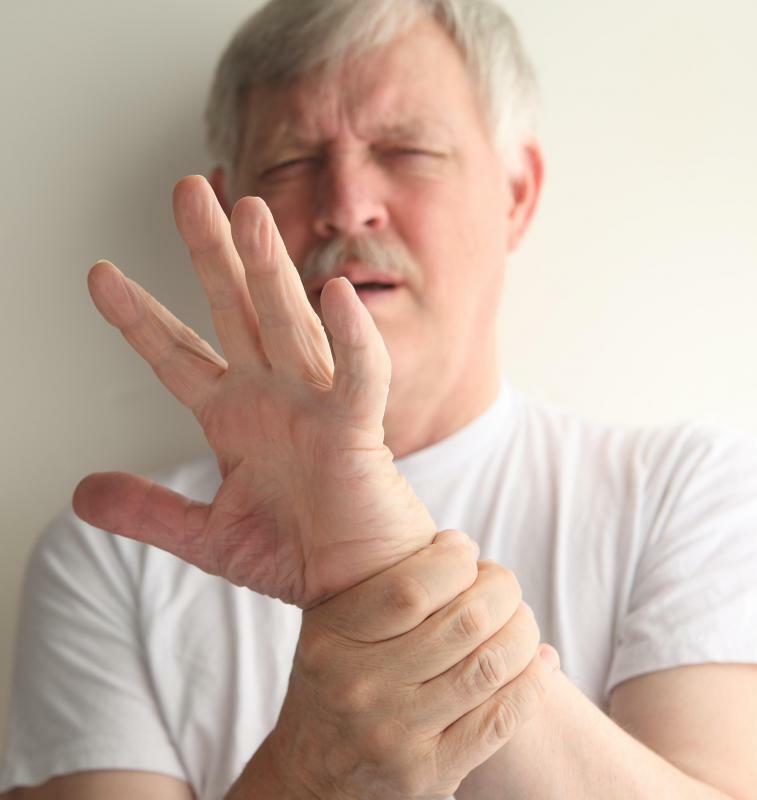 What are Common Causes of Joint Pain in the Hands? What are Common Causes of Joint Pain in Children? How do I Choose the Best Joint Pain Medication?